In truth this was made a few years back but trundled out certain times of the year....and why not! 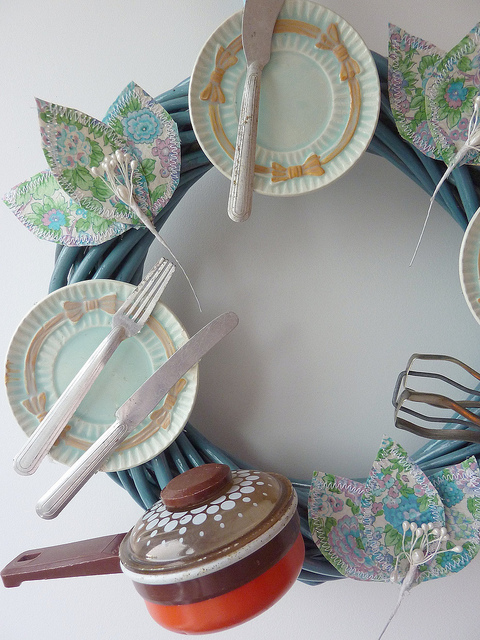 I spray painted an old wreath that I had bought for 50p at a church fete and glued bits on! I have other pots and pans in this 1970s saucepan 'range'....a little on the small side to use for making dinner. For the beady eyed amongst you I have thrown in the child's sized mincer - sadly used for salt dough extrusion therefore rendered useless by the children! 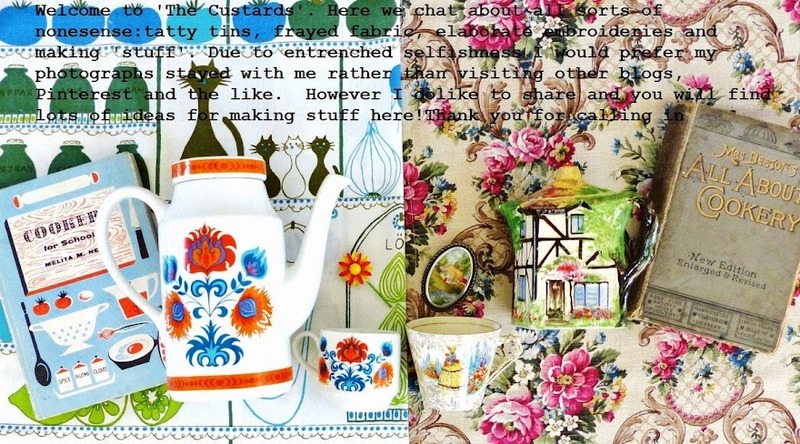 Although we have no children, we have always had a penchant for all things miniature and child sized. Hence, we are proud owners of a dolls' house! 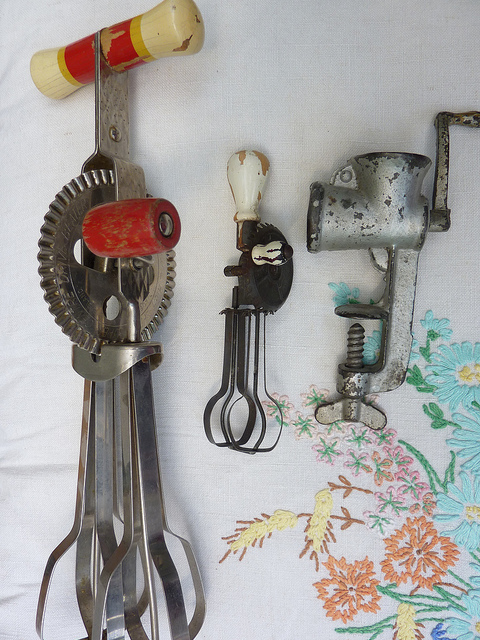 How we love the mini whisks and mincer and oh to have a rolling pin, mixing bowl, cake tins etc. etc. to match. Of course, they would merely be to look at....nothing practical for us. Today Tímea our housekeeper will make pancakes. Lemon juice and sugar for one of us and strawberry jam for the other....pancakes are so flexible.....often filled with cabbage here in the Motherland! ~ I had to study with great interest this post too, Jenny! And then I got it too! But I also kind of like being in ...'La la land......With You all! hehe.. I am off to make some Pancakes!....Have a fun day! Love Maria x Tis such fun on here! I believe you may be 'particular' about a good many things? I have two treasured caster sugar spoons with perforated bowls. How fun! 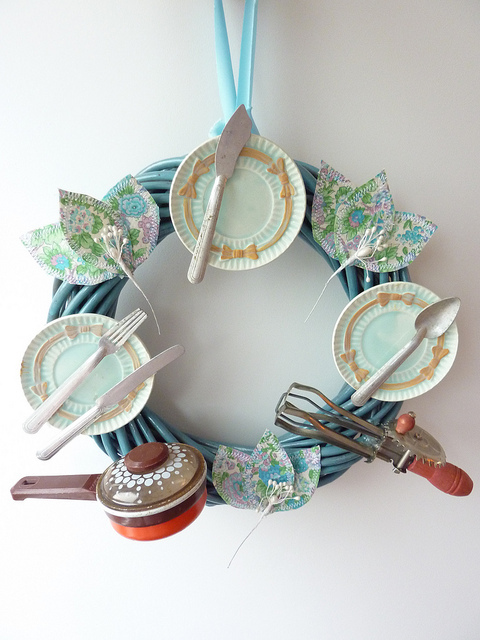 I have made a wreath before with vintage kitchen implements...maybe I will make another. Last week in the US it was National Pancake Day...I'm sure it made big news where you live...lol! 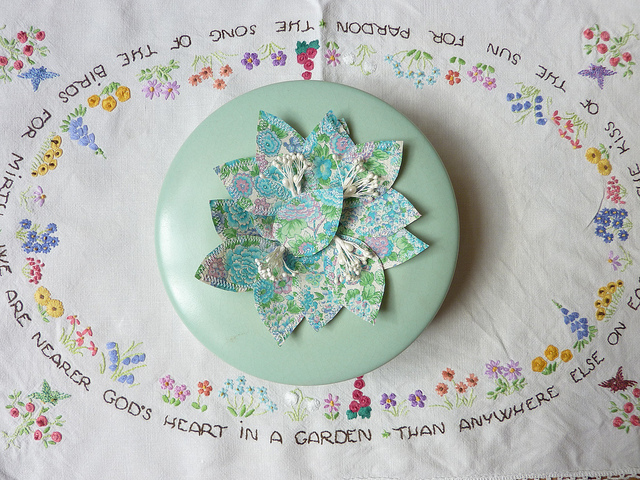 I love the poem on the tea cloth ... So sweet! What a shame you didn't have some pancakes to share too! 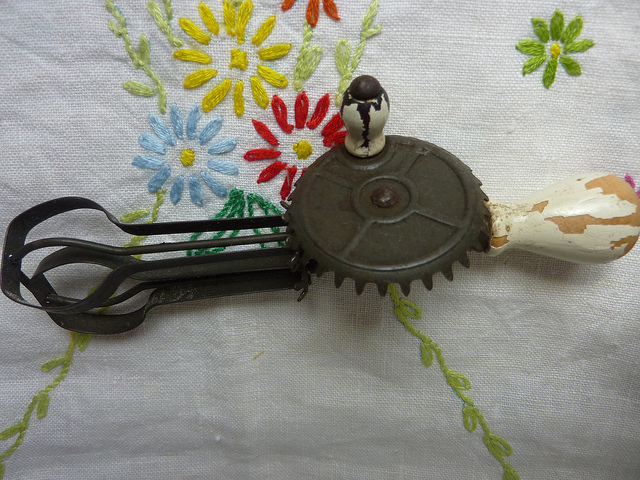 I love those old whisks, my Mother in law had one that was similar and she used it so much. 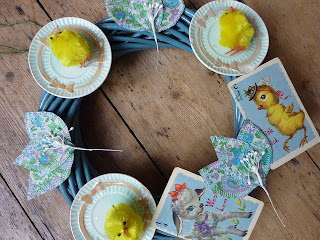 Jenny there is only you could think to make a pancake day style wreath!! La la land is sometimes a great place to be methinks! P.S. I made pancakes, thin, with sugar and freshly squeezed orange juice but they were a disaster.Out of four only one turned out ok. Nigel Slater reckons you should never wash your pancake frying pan to get best results, sadly I am probably a bit OCD to never wash mine! 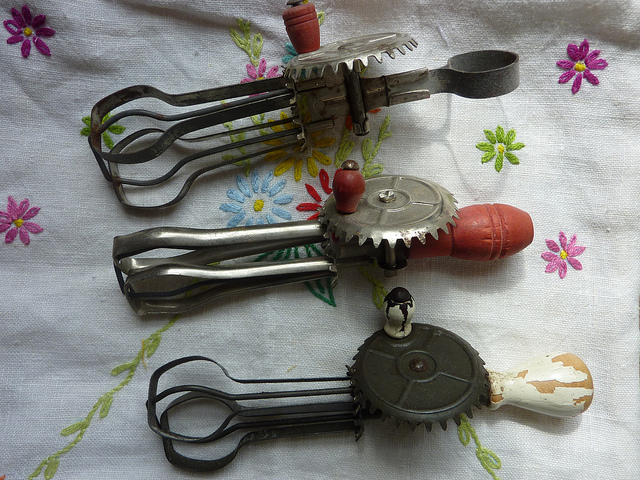 I love children's versions of every day objects just like mums, ones that look exactly right like your whisks. It's the scale that does it for me!! Happy pancake day Jenny,I didn't know that you could get child size whisks,I just love love love your embroidered table cloth,I like my pancakes with orange juice and caster sugar!I have given up sweets, biscuits,chocolate and cake for lent,I know I have to get rid of my spare tyre!Warm regards Pam. awwww soooooo cute!! 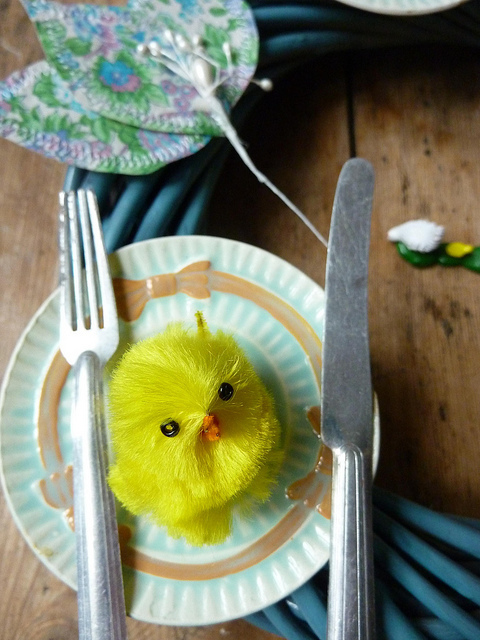 love all the mini things, could of used all the Sindy Doll things from when i was little! wonderful idea, you always inspire me.. I have a 'thing' for old whisks. Love your collection.